Some graphics that are in progress for a Zelda-like project. If you have critics, I'm interested! Vraiment très beaux ces graphiques, ont voit en plus qu'ils sont biens dans le style Zelda SNES. I drew this background image which will be probably used for the credits . There are 11 colors. Are the colors of the image correct? Clouds not too ugly ? Things that are not corrects? a Quirk Storm... a coming. Looks great! I love the soft use of colors in the background. 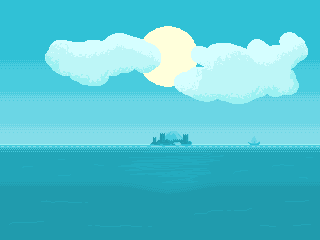 I tried to follow the board members of another forum: new clouds, smaller sun and softer color frame at the horizon. 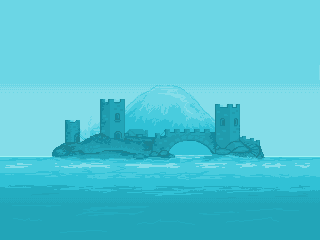 The island is slightly adapted to the new pixel art . Just a mockup of a dragon of fire. Hope it will not too difficult to script. A memory with Solarus!!! Solarus is so . I want to improve my scripting skills before beginning to animate for example a boss with all its attacks. 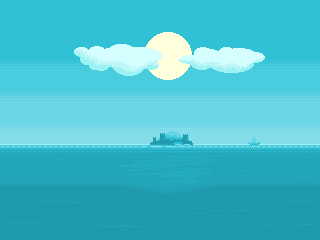 The Memory will be a mini game, but I think it will be include it in my main project. I like your memory great idea! The zip file contain the slightly modified script. So if there are errors, this is my fault. Wow! Your version is 10000000000 times better than mine. Awesome work!!! Wow it looks very good ! I'm testing a Gameboy style (so there are 4 colors). This is a very good way to improve my pixel art.Hope you like. It is free to use. EDIT:I'm working on a new character in the same style. I like the flash of light at the end. An old wizard man is attacking you.. what would you do? 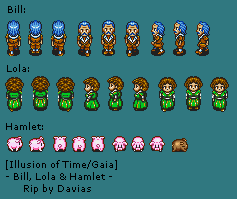 I continue creating sprites of 4 colors in a GB style. dat files are in attachment. 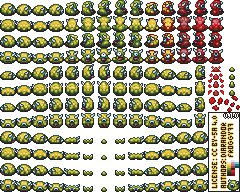 For some sprites sheets, why not... but not for tilesets. I intend to make a tileset with a mix of official, edited (from artists of OGA or artists who gave me their agreement or even from official games) and full customized sprites. All in 4 colours. Anyway, it will be for Non Commercial uses, because there are too many different licenses together.